The tri-school physical education program is off to a dynamic start. We’ve kicked off the year with individual ball skills, cooperative and competitive team sports, muscle building fitness circuits and heart pumping Fun Runs. 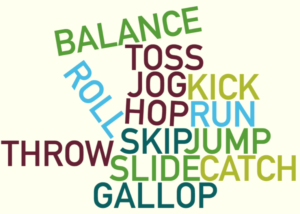 Students have been putting their best foot forward, whether it is a run, skip, hop or jump! The Piedmont Elementary physical education curriculum is based on the California State Standards. Not only does this guide our teaching but it also directs the grading of students. Following is the grading supplement that explains what students learn at each grade level as well as the areas we evaluate for report cards. 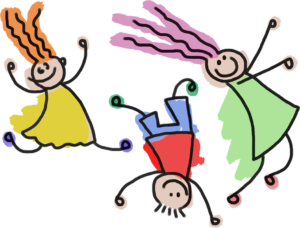 Please let us know if you have any questions about the grade reporting or your child’s physical education. Students in grades one through six must be provided with PE instruction with an “emphasis upon the physical activities for the pupils that may be conducive to health and vigor of body and mind, for a total period of time of not less than 200 minutes each 10 schooldays, exclusive of recesses and the lunch period” (EC Section 51210[a]). PE teaches students how their bodies move and how to perform a variety of physical activities. Students learn the health-related benefits of regular physical activity and the skills to adopt a physically active, healthy lifestyle. The discipline provides learning experiences that meet the developmental needs of students. A standards-based PE program also provides an excellent opportunity to ensure that students develop positive social skills, cooperate with others, and accept responsibility for their own actions. Why is physical education (PE) taught in California public schools? 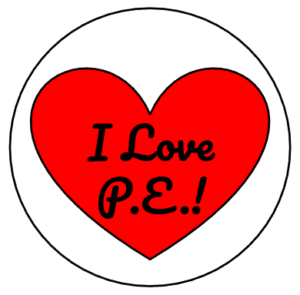 PE contributes significantly to every student’s health and well-being, and it is an instructional priority for California schools. Every student, regardless of disability, ethnicity, gender, native language, race, religion, or sexual orientation, is entitled to a high-quality PE program. PE is an integral part of the overall education program for every student and provides one of the few opportunities students have to develop the skills, knowledge, and confidence necessary to lead a physically active lifestyle. A high-quality PE program promotes an active lifestyle, improved health, motor skill development, and better cognitive performance. Daily PE for all students is recommended by numerous national associations, including the Centers for Disease Control and Prevention, the National Association for Sport and Physical Education, the National Association for State Boards of Education, the American Academy of Pediatrics, and the American Heart Association, and is noted in the Healthy People 2020 document. Students who become skilled and knowledgeable in PE are more likely to become healthy adults who are motivated to remain healthy and physically active throughout their lives. PE is a part of the coordinated school health system program. It is the component that addresses each student’s fundamental need for planned, sequential instruction that promotes lifelong physical activity and attitudes and behaviors that reduce health risks. 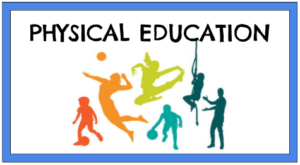 What is the difference between physical education (PE) and physical activity? The terms physical education and physical activity are often used interchangeably, but they differ in important ways. Understanding the differences between the two is critical to understanding why both contribute to the development of healthy and active youths. Every student needs both a quality PE program and physical activity program. Physical education instructional programs provide students with the skills and knowledge they need to establish and sustain physical activity as a key component of their lifestyle, as children, adolescents, and adults. The PE model content standards adopted by the State Board of Education involve five overarching standards in kindergarten through grade eight and three overarching standards in grades 9 through 12, including eight required content areas that provide a developmentally appropriate, standards-based sequence of instruction. PE instruction provides students with essential skills and knowledge through a broadly-based curriculum that is age-appropriate and links learning experiences in a sequential and articulated manner. Physical activity is any bodily movement that is produced by the contraction of skeletal muscle and that substantially increases energy expenditure, including exercise, sport, dance, and other movement forms. PE programs, recess periods, intramural sports programs, and athletic programs involve physical activity, but each serves a different purpose. Intramural sports and athletic programs provide opportunities for student learning but are not likely to constitute high-quality, standards-based PE instruction. Recess periods provide students with opportunities for unstructured physical activity time during the school day. These breaks from classroom activities may enhance participation and learning in the classroom, aside from the benefits gained from additional physical activity. Intramural sports programs provide opportunities for students to be physically active and apply PE learning outside of the curricular program. In addition, intramural programs give students opportunities to implement the skills and knowledge gained in PE. Athletic programs are essentially designed for youths who have special skills and would like to specialize in one or more sports. They provide students with the opportunities to refine their skills and compete with others of similar interests and abilities. Physical activity may include recreational, fitness, and sport activities such as jumping rope, playing soccer, lifting weights, or participating in organized sports. National recommendations (such as the National Association of Sport and Physical Education and The Dietary Guidelines for Americans, United States Department of Health and Human Services) urge school-age children to accumulate at least 60 minutes, and up to several hours, of physical activity per day while avoiding prolonged periods of inactivity. Physical activity programs that students participate in outside of school are not the same as PE instructional programs. Such physical activity programs typically provide opportunities for students to develop skills in a single area and are not intended to provide instruction in the essential content areas and standards of PE. The FitnessGram assessment is based not on athletic ability, but levels of fitness needed for good overall health. No matter what your children grow up to become, they will live happier, more productive lives if they are healthy–and physical fitness is vital to overall health. FitnessGram provides valid and reliable information about your child’s level of fitness. The FitnessGram test (and report) includes a number of different assessments since health-related fitness has multiple components. Some children may score high on muscular strength but need to improve their aerobic capacity score. By having a complete report, you (and your child) will know more about their overall level fitness and how it can be improved.